Bob started his career at Rye House in 1953 when he was 18 years old. He was soon spotted and given some second-half races at Wimbledon, and loaned out to Southern Area League team California. Wimbledon called him up to the team in 1956 where he stayed for 6 years, becoming an England International and riding in 4 World Finals, his first in 1960 where he qualified as reserve had one ride for 2 points. In 1961 the Final was moved to Sweden and Bob finished equal 5th with 10 points. In 1962 back at Wembley he again finished equal 5th with 9, he missed out on the 1963 final but was back in Sweden for the 1964 Championship this time scoring 4 points. When the British League was formed in 1965 he was allocated to Wolverhampton but with a broken leg from his winter in New Zealand where he had decided to spend the rest of his life, he stayed with Wolves for one season. Cradley persuaded Bob to join the Heathens in 1968 but was injured right away with a broken collar-bone at Wolves! 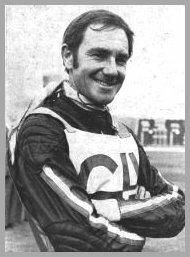 When he joined Cradley he soon set up a terrific partnership with his old pal Roy Trigg. 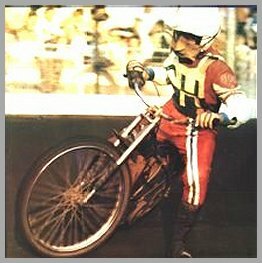 Bob swapped tracks in 1970 to join Hackney but returned in 1971 and for his final season in British Speedway 1972. All Heathens fans who new Bob have fond memories of him, a rock steady performer who never gave up trying despite the lack of success of the Heathens in the late sixties and early seventies. 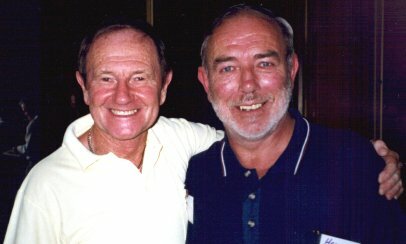 Bob still keeps in touch with speedway and lives a short distance from his lifetime friend Roy Trigg. He has been to both New Zealand Grand Prix and he may be keeping an even closer eye soon as his teenage grandson Bradley continues to make great strides in the sport showing the potential as future star.